Do you want to help vulnerable and disempowered people in the community have a voice? Are you committed to helping people take control of their lives? Are you compassionate, patient and non-judgemental? 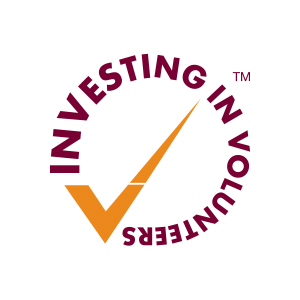 We have achieved the Investing in Volunteers standard, which is the only UK quality standard for volunteering. The Care Forum really values our volunteers and the time and knowledge they dedicate. We aim to ensure all volunteers receive on-going high quality support and training and feel confident and happy in their volunteer roles. Once you register your interest we will send you an application pack, which will include an application form and a role description. After we have received your application, you will be contacted by the volunteering team who will explain the recruitment, selection and training process for your role. If you have any questions about volunteering with us, please get in touch. It would be lovely to have you involved! Or contact the Volunteering Team on 0117 9589 363 or email us on volunteering@thecareforum.org.uk to express an interest in volunteering. Do you want to help make a difference to health and care services? Are you committed to help make changes happen? Do you want to help children, young people and adults have their say about the health and care services they use? Healthwatch relies on volunteers to hear what local people have to say about their services. Healthwatch volunteers champion a group to ensure Healthwatch hears from local communities, the community outreach volunteers help by visiting local health, care and community groups. Healthwatch volunteer reps communicate with organisations and service providers, to help them to know and understand what Healthwatch is doing. Healthwatch has statutory right to enter and view services to observe how services are delivered and suggest recommendations to make services better for the people who use them, volunteers are trained and checked to support this vital function. Are one these roles for you? Community Champions is an exciting project bringing people together, raising awareness of what activities and services are out there, and developing new activities where there are gaps. setting up a one off event. Considerate Friends – this element of the project is completed in partnership with the Carers Support Centre. Volunteers will be trained and supported to visit local premises, facilities, activities and services. Carrying out a mystery shopping type exercise you will make assessments and recommendations to ensure the venues and services are age appropriate and carer friendly. In phase two of this project we will also be looking at starting a scheme with one or two of the local venues to introduce social initiatives. Steering group member – the project will be overseen by a steering group made up of local people who will guide the direction of the project. The meetings will be very informal and the group will meet quarterly or as required to discuss the project and what to do next. While the target audience for the project is the over 50’s living in Hillfields, Frome Vale and Eastville, and we are aiming for 50% of our volunteers to meet these criteria, recruitment to the roles is not exclusive to these criteria and we would welcome anyone with an interest to get involved. Volunteering – Descriptions of the current volunteer roles can be viewed by clicking on the links below. As the role of Community Champion is very flexible and can cover many activities, please get in touch to discuss your interests and requirements. Attend local healthcare meetings to ensure local people’s voices are heard and acted upon by policy and decision makers. Attend events to promote Healthwatch. This is an opportunity for Champion volunteers who would like to get further involved. Visit community groups to promote Healthwatch and encourage a wide variety of people to feed in their views about the health and social care services they use. To encourage people to attend focus groups, complete feedback forms and surveys. Go into services like hospitals, care homes and GP surgeries to find out what people think about the care they receive. Work as a team to write a report and recommendations about how the service can improve, based on what you observe and what residents, patients, visitors and staff say they want and need.